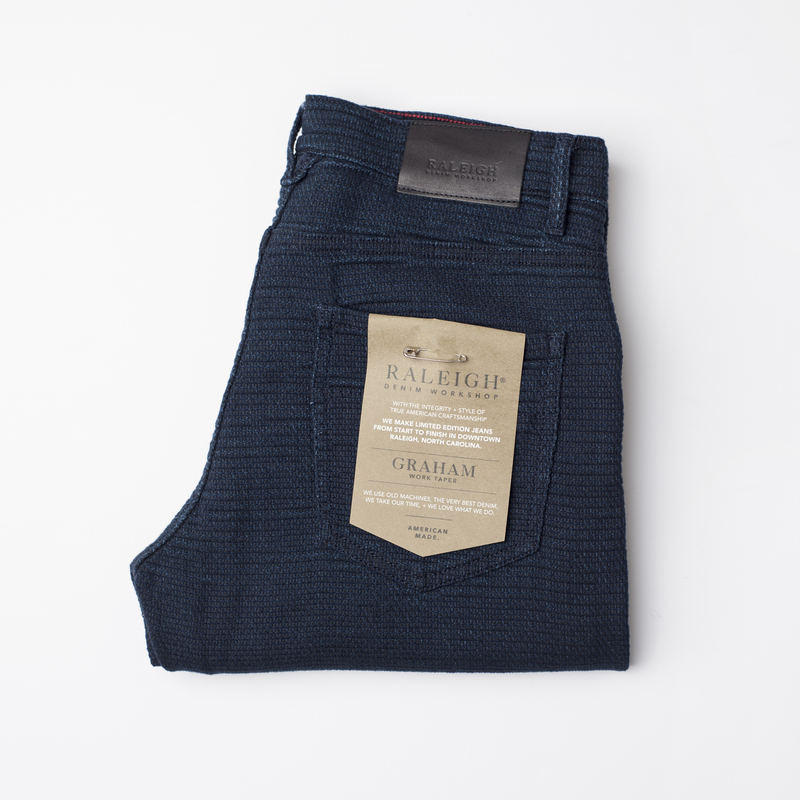 Five pocket straight leg jean. Zip fly. Leather patch with embossed logo detail. 97% cotton 3% spandex. Made in Raleigh, NC. Model is 5'11" 170 lbs. and wears a 31.